Kirby of Cowes is a design led Vintage Marine and Interiors business based in Cowes on the Isle of Wight. It stocks globally sourced original marine artefacts , and sets them against strong interior design pieces to provide clients with bespoke design solutions for all those with a nautical bent; be it a house by the sea or a nautical flavoured landlocked pad. We can source special pieces on request. Kirby trained in fashion, interior & textile design which she combines with her large portfolio of design ideas collated from extensive travelling all over the world. She is an experienced sailor, and has had many boats over the years and is currently co-owner of a classic Swan, berthed in Cowes. The High Seas are in her blood - Kirby's Great Grandfather, Walter Lane, made 40 voyages to the Cape serving on steamships such as Arab, Goth, Norman, Garth and then the Tintagel, having as a shipmate for 4 voyages Sir Ernest Shackleton. 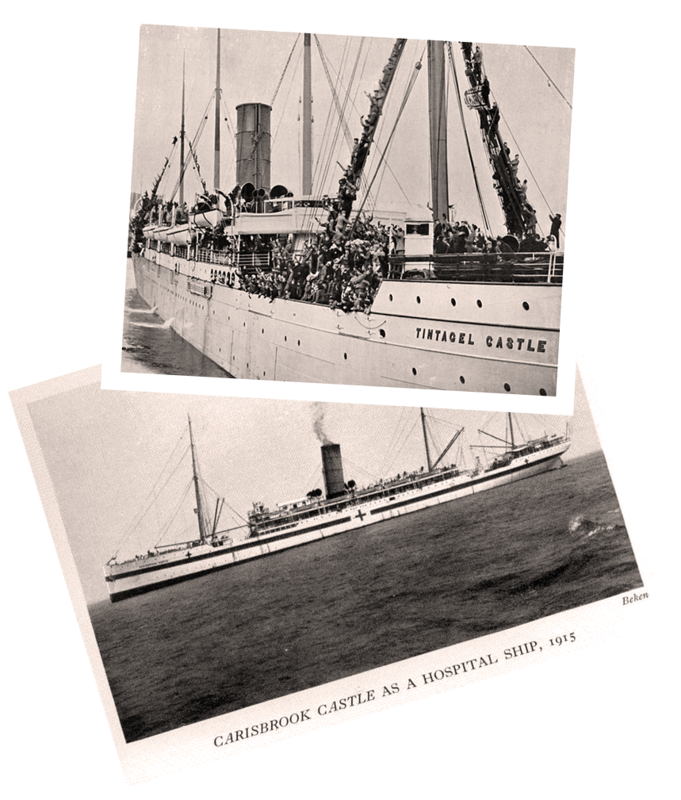 He then signed onto the Carisbrooke Castle with Shackleton and made 8 voyages with him during the South Africa war, carrying troops which included the Berkshire & Hants Yeomanry Volunteers. How fitting then that his Great Grand Daughter should carry on the family nautical tradition, living on an island close to where so many of his voyages began.